Stream the ChristLife Series - Discovering Christ, Following Christ, and Sharing Christ - from your laptop, tablet, or mobile device in high-definition video from your On-Demand Video Library. You can watch the videos as many times as you would like and they do not expire. 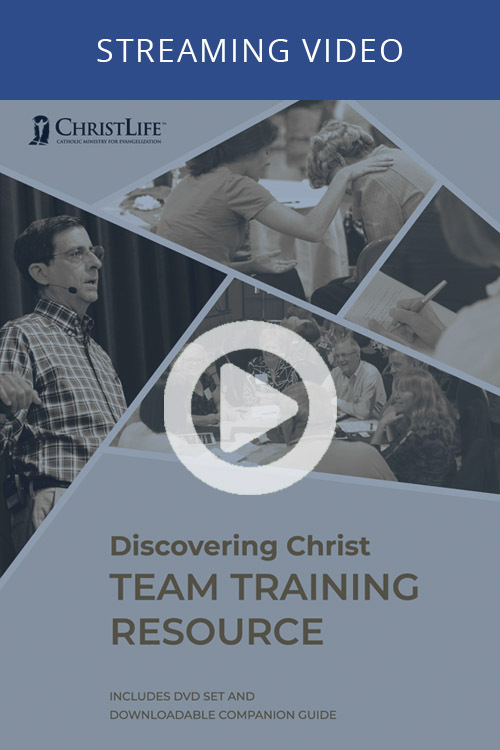 Stream all 10 talks of the 2019 Following Christ course in HD quality! Now you can stream Discovering Christ in high-definition in your on-demand library. Now you can stream Sharing Christ in high-definition in your on-demand library. Discovering Christ: 1 - What is the Meaning of Life? Watch Talk 1 of Discovering Christ: "What is the Meaning of Life?" in streaming HD. Discovering Christ: 2 - Why Does Jesus Matter? Watch Talk 2 of Discovering Christ: "Why Does Jesus Matter?" in streaming HD. Discovering Christ: 3 - What Does Jesus Want Us to Know? Watch Talk 3 of Discovering Christ: "What Does Jesus Want Us to Know?" in streaming HD. Discovering Christ: 4 - Why Do We Need a Savior? Watch Talk 4 of Discovering Christ: "Why Do We Need a Savior?" in streaming HD. Discovering Christ: 5 - Why Is the Resurrection Important? Watch Talk 5 of Discovering Christ: "Why Is the Resurrection Important?" in streaming HD. Watch Talk 6 of Discovering Christ: "Who is the Holy Spirit? (retreat)" in streaming HD. 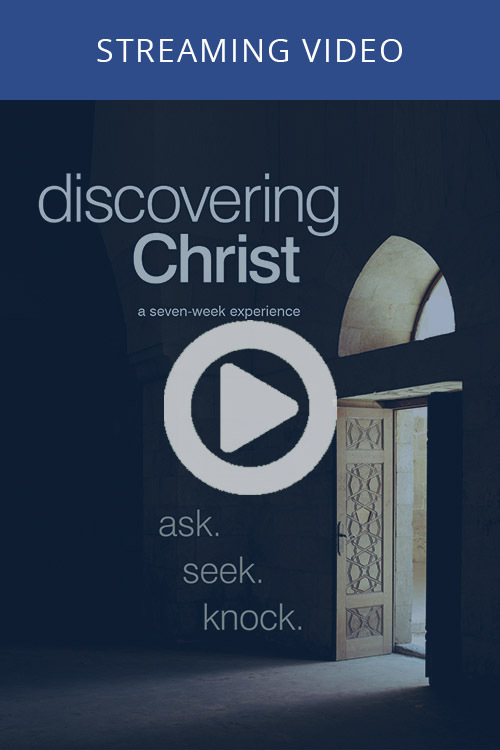 Watch Talk 7 of Discovering Christ: "The Holy Spirit and You (retreat)" in streaming HD. Watch Talk 8 of Discovering Christ: "New Life in the Spirit" in streaming HD. Buy Talk 1 of the 2011 ed. 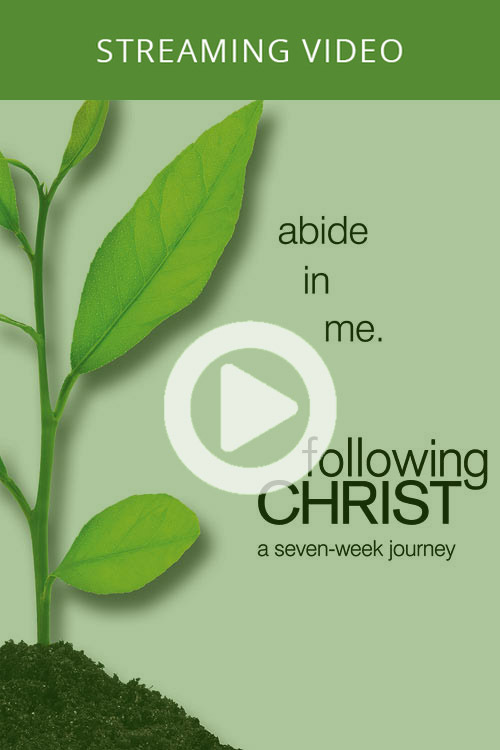 Following Christ: "Daily Personal Prayer" for online streaming. Buy Talk 2 of the 2011 ed. Following Christ: "Hearing God in Scripture" for online streaming. Buy Talk 3 of the 2011 ed. Following Christ: "The Power of the Sacraments" for online streaming. Buy Talk 4 of the 2011 ed. Following Christ: "Forgiving One Another" for online streaming. Buy Talk 5 of the 2011 ed. Following Christ: "The Spirit-Empowered Life" for online streaming. Buy Talk 6 of 2011 ed. 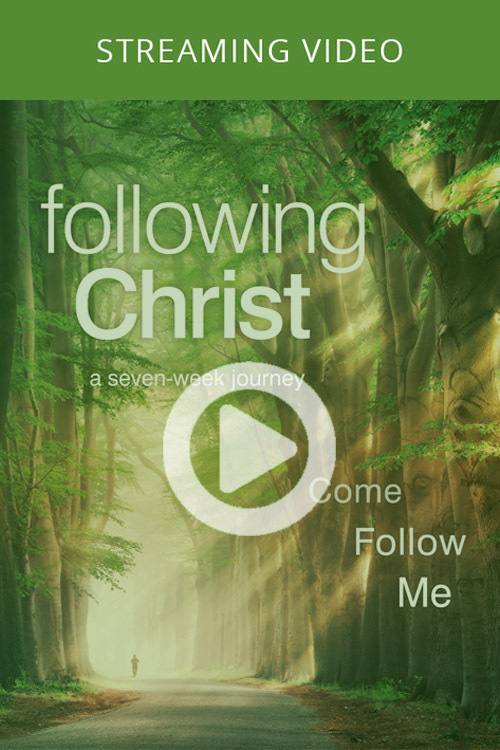 Following Christ: "The World" for online streaming. This is the 1st talk of the retreat day. Buy Talk 7 of the 2011 ed. Following Christ: "The Flesh" for online streaming. This is the 2nd talk of the retreat day. Buy Talk 8 of 2011 ed. Following Christ: "The Devil" for online streaming. This is the 3rd talk of the retreat day. Buy Talk 9 of 2011 ed. Following Christ: "Advancing the Mission of the Church" for online streaming. 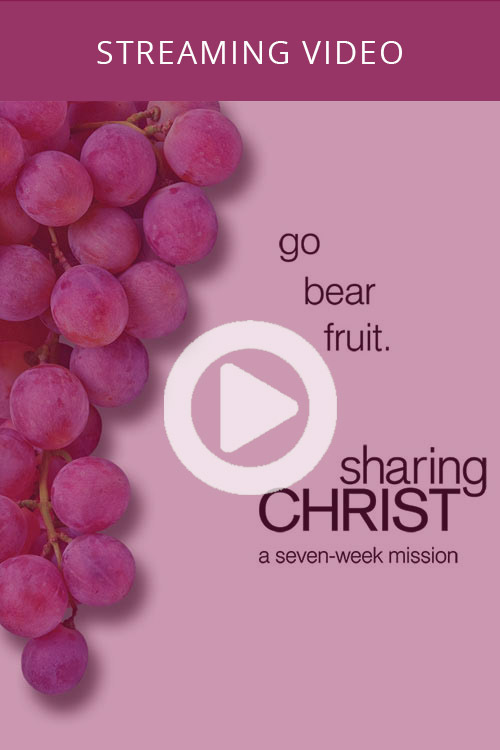 Watch Talk 1 of Sharing Christ: "Called to Share Christ" in streaming HD video. Watch Talk 2 of Sharing Christ: "Befriending Others" in streaming HD video. Watch Talk 3 of Sharing Christ: "Sharing Your Story" in streaming HD video. Watch Talk 4 of Sharing Christ: "The Power to Share Christ" in streaming HD video. Watch Talk 6 of Sharing Christ: "Inviting Others to Meet Jesus" in streaming HD video. Watch Talk 5 of Sharing Christ: "Presenting the Good News" in streaming HD video. Watch Talk 7 of Sharing Christ: "Put Out Into the Deep For a Catch" in streaming HD video. Purchase "Running a Fruitful Course" for On-Demand streaming. Purchase "Facilitating and Evangelizing Small Group" for On-Demand streaming. Purchase "A New Pentecost for the New Evangelization" for On-Demand streaming. Purchase "Where the Rubber Meets the Road" for On-Demand streaming. 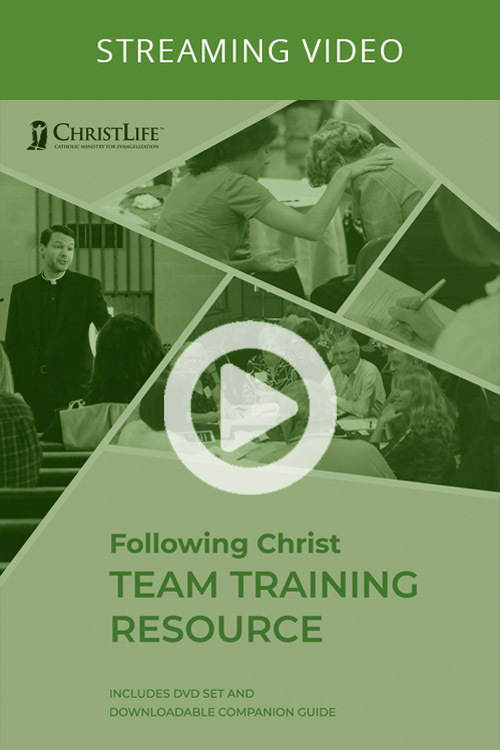 This training talk is for your entire Following Christ team. This prayer practicum is for your primary course leaders. Empower your team as they lead your participants towards a life of missionary discipleship. Empower your team as they lead your participants towards a life of missionary discipleship​. Now you can stream all 9 talks of the 2011 ed. Following Christ in your on-demand library.